46 Years After Notorious Skyjacking, D.B. Cooper's Identity Revealed At Last? Principia Media, a Grand Rapids, Michigan-based publisher, announced the believed identity of D.B. Cooper during a press conference held at the Amway Grand Plaza Hotel in downtown Grand Rapids, Michigan on May 17. D.B. Cooper is the infamous skyjacker who boarded a Boeing 727 in Portland, Oregon on Thanksgiving Eve, 1971, and escaped with a $200,000 ransom after jumping from 10,000 feet. The infamous skyjacker was identified by Carl Laurin, one of Cooper's best friends. Evidence supports the announcement D.B. Cooper is a Michigan man and former military paratrooper named Walter R. Reca. 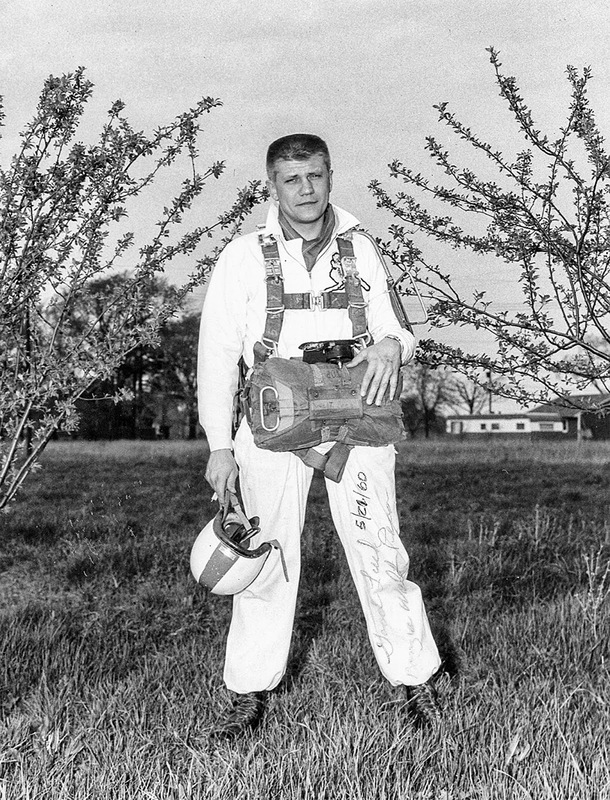 3+ hours of audio tape detailing the events of the skyjacking, an eyewitness, a pair of long underwear worn during the jump, and the testimony of a relative all were shared during the press conference. ⏩ Laurin is a military veteran, commercial airline pilot, skydiver, and entrepreneur, and wrote the memoir D.B. 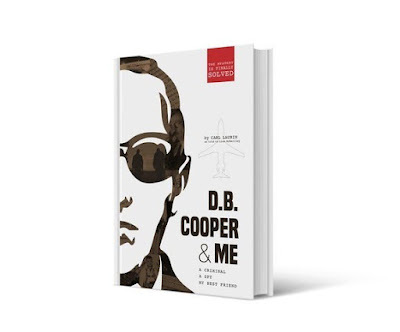 Cooper & Me: A Criminal, A Spy, My Best Friend, which was also released. Reca told the stewardess she was "polite and kind" and addressed her as "young lady"
The night that Reca committed the skyjacking, he landed near Cle Elum, Washington, and walked to a nearby restaurant called the Teanaway Junction Cafe. Jeff Osiadacz, a former law enforcement official, interacted with Reca that evening within an hour of the jump. Osiadacz said he remembers seeing Reca because even though it was a cold, wet night, Reca was walking along the road with his raincoat bundled under his arm. The two men later interacted at the cafe, where Osiadacz gave Reca's friend directions over the phone to pick Reca up from the cafe. Reca thanked Osiadacz by paying for his coffee, and then left. Koenig, a Certified Fraud Examiner, said this about Osiadacz's account: "I found it particularly significant that Jeff Osiadacz, aka Cowboy, his statement of events on the night of November 24, 1971, was identical to Walt's statement that he gave Carl five years earlier." Laurin is in possession of Reca's insulated long underwear bottoms which Reca wore during the skyjacking to protect from the cold air as he jumped and observed by at least one eye witness. Lisa Story is Reca's niece. She exchanged many letters with Reca when she was a teenager and he was working in the Middle East. She then began seeing him regularly in 1999 after her grandmother passed away. Reca did not admit to being D.B. Cooper at first, though he did send her news articles about D.B. Cooper suspects and confessions with notes debunking their claims. Then, in August 2013, Reca admitted for the second time that he was D.B. Cooper and asked Story to take him to a notary to sign his confession. Story would not, terrified her uncle would spend his last days in jail. "The audio tapes and transcripts and Walt's last testament, provided me with great evidence. My analysis told me Walt was not forced or coerced to make his statements to Carl, that he made the statements freely and voluntarily. The statements and last testament contain Walt's admissions to all the elements of robbery and hijacking constituting a very good confession that could be used in a criminal proceeding. Based on his confession and all the corroborating evidence, Walt, if still alive, would be prosecuted for the hijacking of Northwest 305. I believe that Walter Reca is D.B. Cooper." Laurin asked for Reca's permission to share his story in 2010. Reca agreed and signed a notarized letter to that effect, although the story was not to be told until after his death. Reca passed away on February 17, 2014. ⏩ Full audio and video of the press conference is now available in the Principia Media online press kit at principiamedia.com. Principia Media is an independent publishing and documentary film company based in Grand Rapids, Michigan. With a focus on storytelling, they balance professional production and marketing skills with intimate client relationships. Their capabilities include publishing fiction and nonfiction and investigative storytelling through feature-length documentaries.